SUNNY GUARD shade sail is a stylish and effective shade solution that perfect for garden, patio, swimming pool, BBQ area and etc. The shade shelter provides 90% UV block and breathable material allows water and air to go through freely. 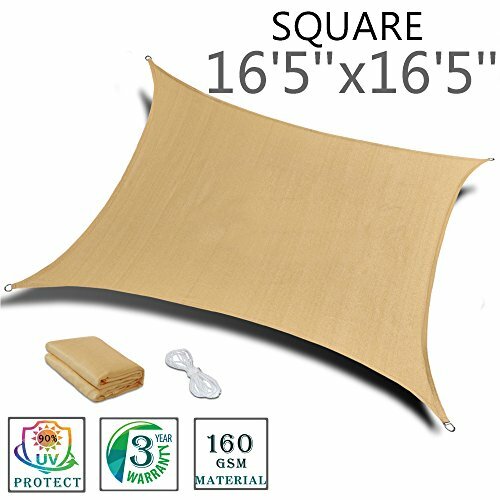 The sun shade can make you comfortable even in the hottest days. Our digital images are as accurate as possible. However, different monitors may cause colors to vary slightly. It is hard to be avoided. If you have any questions about this product by SUNNY GUARD, contact us by completing and submitting the form below. If you are looking for a specif part number, please include it with your message.